Ours is the oldest parish in New Hampshire and is one of the oldest in the country. The Parish was gathered in 1633. 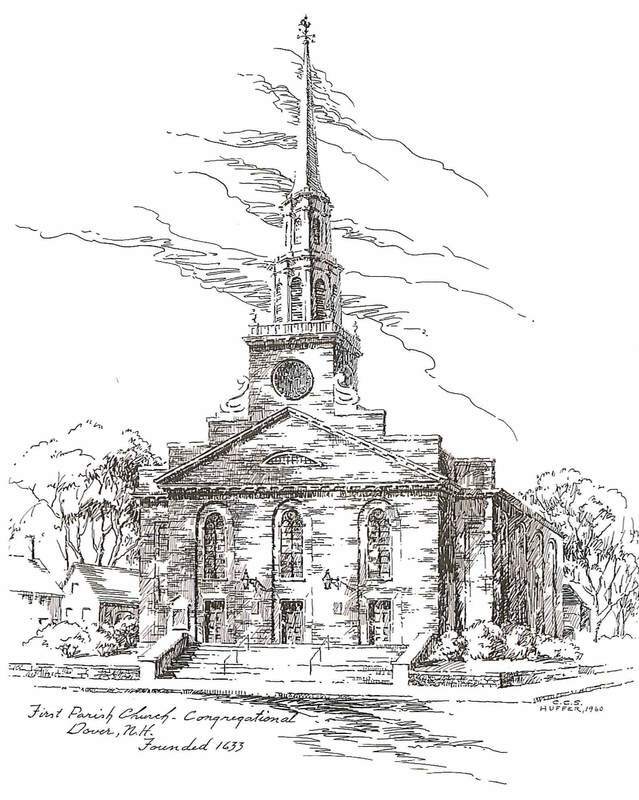 For years it was the only church in Dover, serving as a meeting place for town, public and religious gatherings and was supported by general taxation. Early settlers built our first meetinghouse at Dover Point in 1634, not far from the Spaulding Turnpike exchange for Dover and Durham. A Small well-cared-for plot of land on Dover Point Road is owned by the church and marked as the location of our second meeting house, built in 1654. 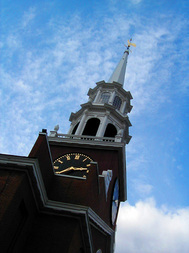 In 1762 our church was incorporated as a parish, distinct from town affairs. The present building on Central Ave is the fifth meetinghouse for First Parish Church. Since 1829, this building has been the "home" of the First Parish family... a center in and from which people of all faiths and needs have been both givers and receivers of compassion and service, warmly and freely extended in Christ's name. In recognition of its treasured history and simple New England beauty, this building appears in the National Register of Historic Places.